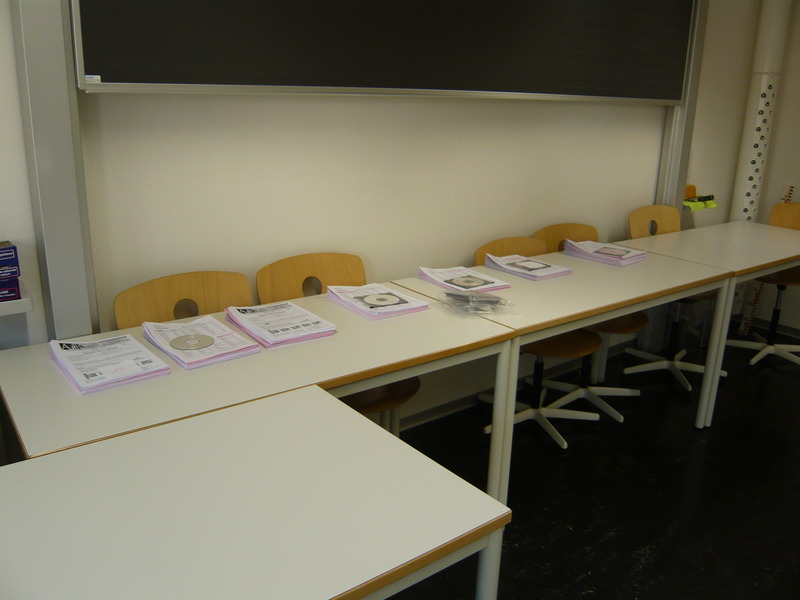 This time I was doing exams in Brig, Switzerland – few kilometers from the Italian border. It was a perfect 4-hrs train ride from Florence, with two nice colleagues Lorenza and Sara. Exams in Brig is a “classic” – since 10 years I’ve been doing exams here at the Kollegium Spiritus Sanctus – every teacher’s dream school, a spacious, luminous, eco-building settled among the Swiss mountains. Here we do mostly DELI exam, for more than hundred students. Every year I have the occasion to work together with Swiss instructors of Italian, who are perfectly bilingual (this is an area where three languages, Swiss-german, Italian and French meet and mix). The students are always well prepared, the director, Giuliano Andri, is always a perfect host, and to be here is almost a vacation ! We all agree that it is difficult to define the knowledge of a foreign language, very difficult to evaluate the oral knowledge of a speaker, and almost outrageous to claim to give a score for that. The fact is, that there is a difference among someone who is barely able to present himself, someone who can have an everyday conversation in a restaurant and someone who can deliver a speech to an university audience. And if you want to offer exams, you must have a transparent way to say it, to measure it, and given that the measurers are human beings, the way has to be the most independent and less biased possible. This way, even if the experts continue to disagree as before, the wider score should “buffer” the differences and the final evaluation should result more homogeneous. Everything went smooth, apart for a 5 minutes delay in the delivery of the papers for the esame auditivo and for a CD player whose tone was a bit too low. The 23 candidates were divided in three classes, to have more place, and there were three commission for the oral section. The supervisors and the examiners were satisfied with the organisation and with the student’s performances. Now, all the materials are back to the headquarters of Accademia Italiana di Lingua, where they will be checked and valued. 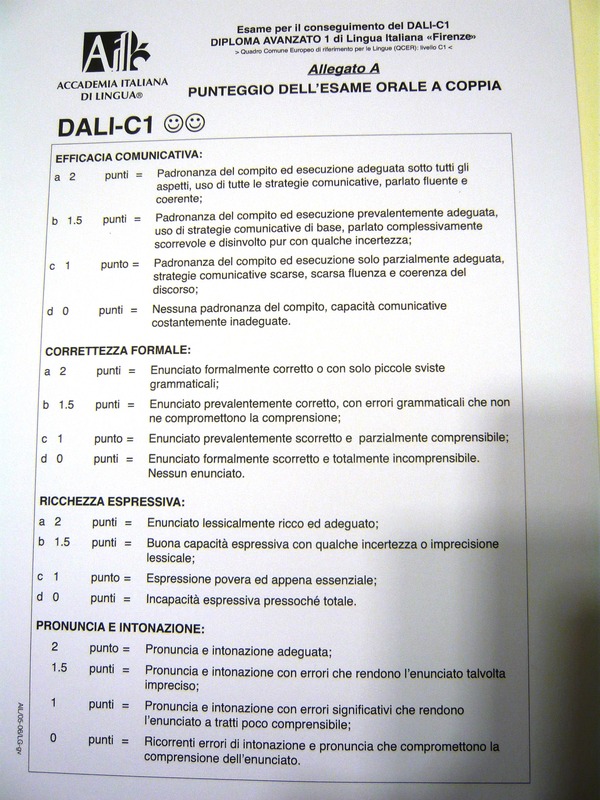 Nowadays there are many different institutions offering examination in Italian language, mostly the Italian Universities which offer courses for foreigners (Siena, Perugia, Roma); in their offer we find basicly one exam each per ELP (European Language Portfolio) level, A2, B1, B2, C1, C2. The Accademia Italiana di Lingua (AIL) a free association of private schools in Europe, has in its catalogue also two exams of Commercial Italian, the DILC (Diploma Intermedio di Lingua Italiana Commerciale) and the DALC (Diploma avanzato di lingua italiana commerciale). 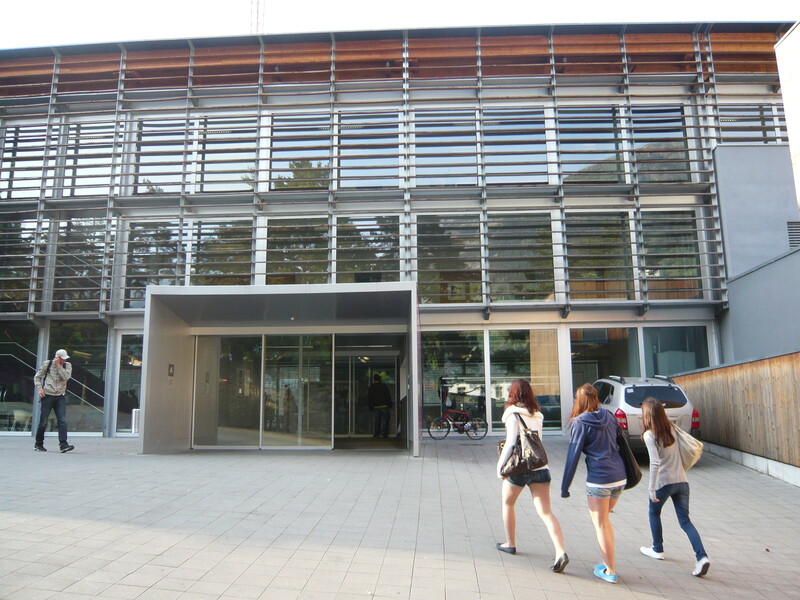 Next week a group of 23 students coming form a “Lycee” in Geneve will sit for the DILC at Scuola Toscana. 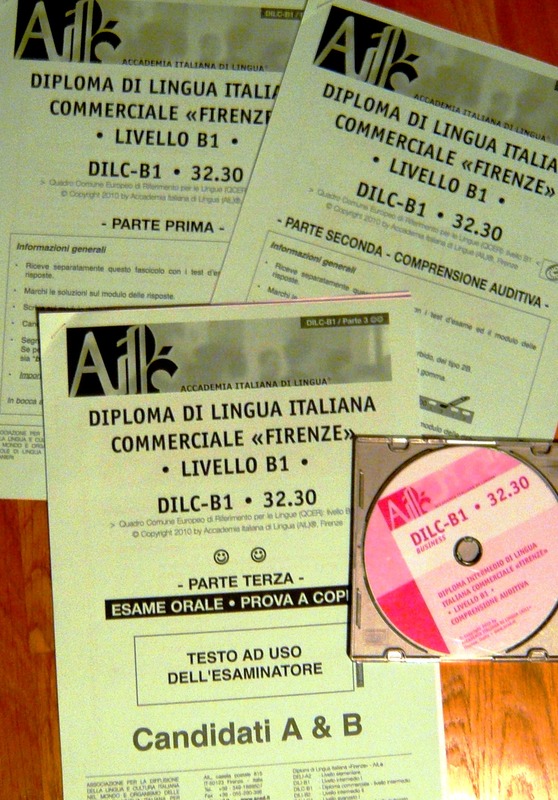 A B1 Exam in Commercial Italian is quite an exclusivity of AIL – usually the commercial exams are at the top of the range, you are supposed to be already very fluent in Italian – and after that can start with the business Italian. But, as a matter of fact, reality is often different, many people do not have too much time to study, and must start using Italian in their work as soon as possible ; Europe is full of small business where the knowledge of another language – even an approximate knowledge – can be a competitive advantage. Think of all the people working in the tourism business, or in touristic places, think of members of various family businesses which export their goods, thimk of professionals who go abroad… DILC is designed for them, the syllabus was created on their needs. 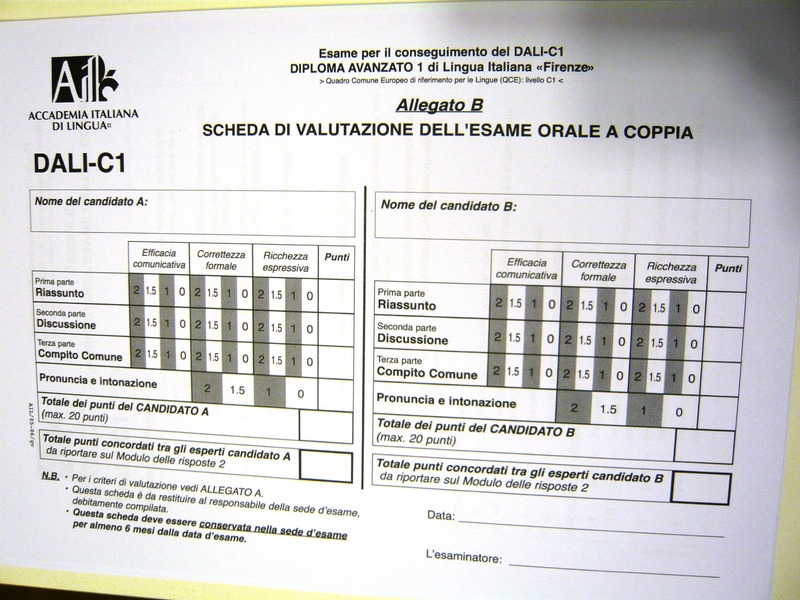 It is definitely my favourite exam – probably the most useful – as a matter of fact, more than 300 students did it since its creation in 2006 and has been recognized by the UFFT (Swiss Federal Office for professional education and technology) as final Exam of Italian as second national language for all the professional commercial schools of Helvetic Confederation.